MOGEC has become an effective platform to encourage the advancement of the oil and gas engineering profession with a membership of 33 ordinary members providing engineering and specialist services to the oil, gas and petrochemical industries and 39 associate members. Malaysia is now recognised as a regional centre for design engineering services. In year 2013, the members agreed to expand the scope of MOGEC to cover all aspects of engineering services in the upstream and downstream oil & gas and petrochemical industries including EPCIC/EPCC contracting. 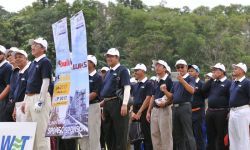 Thus the association was renamed to be the Malaysian Oil & Gas Engineering Council.